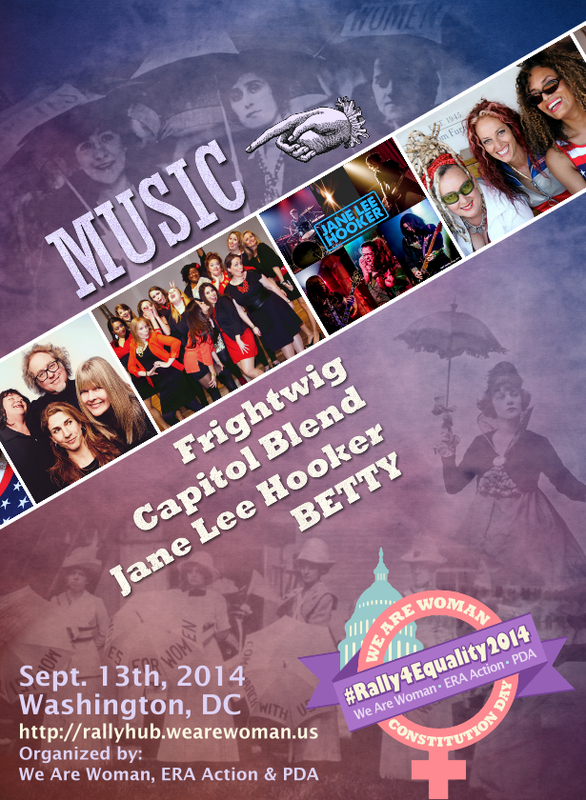 Home » 2014 Rally » Announcements » Posters and Flyers » Video » BETTY to Perform at the We Are Woman Constitution Day Rally! 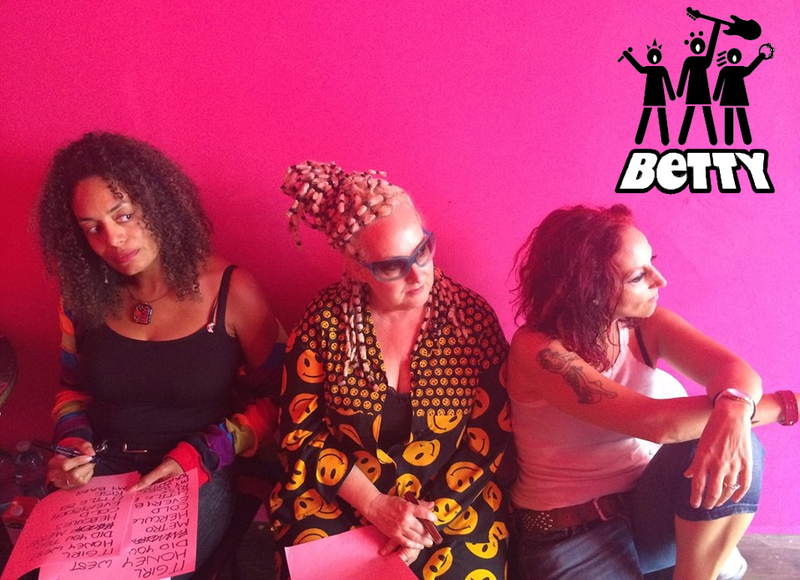 BETTY to Perform at the We Are Woman Constitution Day Rally! We are excited to announce BETTY has been added to the band lineup for the We Are Woman Constitution Day Rally that will be held on September 13th, 2014 in Washington, D.C.
BETTY is the original pop rock band fronted by Alyson Palmer and sisters Elizabeth and Amy Ziff. The band's heartfelt passion and signature sound of soaring harmonies, lively melodies and clever lyrics layered over strong grooves create an energetic, boundary-pushing live show that is a popular attraction worldwide. Elizabeth (vocals, guitar), Alyson (vocals, bass) and Amy (vocals, cello) are the singer/songwriters and arrangers. At times, the trio augments their sound with other instrumentalists live, and with guest artists from a broad spectrum of pop culture: music, art, literature and activism. For more about BETTY and our other amazing entertainers please visit the RALLY HUB.